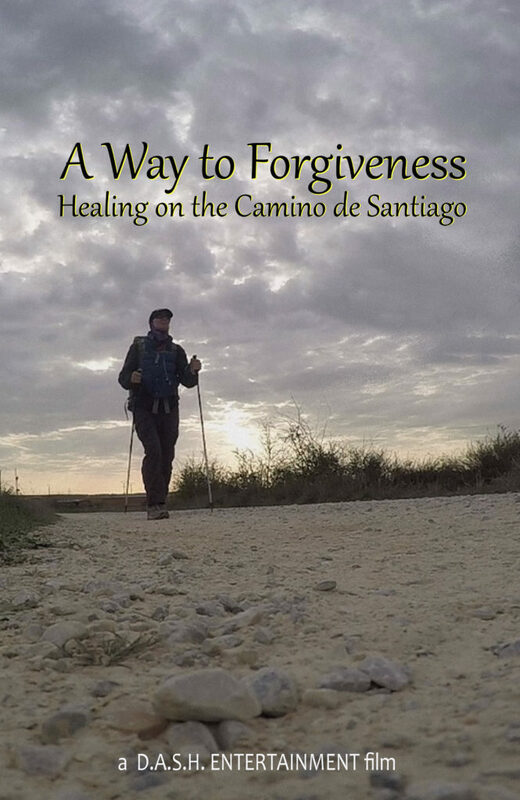 In her first feature length documentary, “A Way to Forgiveness,” director Erin R. Dooley commences a personal pilgrimage across northern Spain following the dissolution of her 12-year marriage that challenges her mentally, physically and spiritually as she records her trek of reflection towards inner peace and ultimately letting go. A moving video diary featuring the emotional insight of strangers she meets along the trail, Dooley hopes the film inspires others to seek solace and find their own paths to forgiveness rather than holding onto life-inhibiting grudges and pain. Presently touring with the film (now available online) and giving talks on healing through the power of forgiveness, Dooley recently launched a women-only hiking retreat focusing on the four things she says helped her through the process of forgiving: a change in environment, physical activity, solitude, and having conversations with others. Dooley’s next “Healing Through Hiking” retreat is planned for Spring 2018 and those interested can learn more and register for the event by visiting her website. Documentary Drive: Can you tell me a bit about what influenced your decision to become a filmmaker? Dooley: I grew up filming sketches with my family and friends, so doing something creative was always a part of me, but I pursued business in college and in my career. In 2004, I had a story in my head which was all I could think about. I decided to write for the first time just so that I could get the idea out of my head. Little did I know that by doing that I would open Pandora’s box and I wouldn’t be able to stop writing after that! I filmed a few shorts just for fun as part of film races, but my real desire was to write feature scripts and have those produced by someone else. However, that changed in 2010. I finished writing a faith-based script and decided to go for a run. As I ran, I felt God was calling me to produce the film myself. That was a tall order, since I had never produced anything on that scale before. I prayed a lot about it and decided to take a leap of faith and move forward to produce and direct that film, “Broken & Beautiful.” I have been producing ever since. Documentary Drive: As a practicing Catholic, how does your faith impact your work? Dooley: As you can see from my first answer, my faith directed my decision to enter this field. Not everything I write is overtly faith-based, but they all have my stamp on it. Even in projects that seem very unrelated, my worldview gets infused in some way. I see my work in the industry as calling more than a career. I try to honor God by making projects that will promote goodness in our world. Documentary Drive: Your journey in “A Way to Forgiveness” is very personal, why did you want to document your experience and share it with others? Dooley: I brought my camera with me, not entirely sure what would come of filming my experience. I figured that I would be remiss as a filmmaker if I didn’t at least record some part of my journey. Since my time walking across Spain on the Camino de Santiago was intensely personal, I was mindful to not allow filming to over take my experience. I was walking with the intent of forgiving my former husband, so I decided to interview people about that topic. Even as I was filming, a part of me wasn’t sure it would ever become a film. I think that is why I was so willing to be vulnerable and honest – I wasn’t certain anyone else would see it! When I returned to the US and was reviewing footage, I was reminded of a conversation I had had along the way. A gentleman I spoke to didn’t seem to even consider forgiveness as a possible response to being hurt. At the end of our conversation, he seemed open to at least think about forgiving. When I re-lived that moment, I was moved to make the film. If a 30-minute conversation about forgiveness could impact that man, then perhaps my film could help others learn to forgive. It helps me to realize that my pain could have a purpose. Documentary Drive: What were some of the challenges, production or otherwise, you faced during your trek across Northern Spain? Dooley: I was a crew of one, so there were definitely challenges! Firstly, I met some wonderful people early in my trip who helped me immensely that are not in the film. The Camino is a personal experience for everyone, so early in the trip I wasn’t forward about bringing out my camera so readily. It felt like I was going to ruin this moment of getting to know a new person by filming. The people who are in the film are those who I spent many days with, so we had a trust built up before I filmed our conversations. Logistically, my sound recorder didn’t work all the time, so the sound is not as good as I would like. I had brought a number of batteries, but they would run out and I couldn’t charge them every night, so I couldn’t film as much as I would have liked. Also, I didn’t get a lot of footage of me walking from far away. I did meet Leia, who is in the film, early on. She is a camera operator, so one day she took my camera and filmed me. I joked that her footage would be the best shot in the film. Documentary Drive: Do you have a favorite memory from your pilgrimage that perhaps didn’t make it into the film? Dooley: There are a lot of memories that didn’t make it! Actually, I was documenting my experience in three ways. I was filming; I would journal my very personal thoughts each night; and then also blog each night, which was mostly to let my family know I was safe but that also turned into my philosophical thoughts on the trip. I had carried a rock from the home I had shared with my husband for 12 years. This was going to be a pretty big moment, as it generally is for all pilgrims. When I arrived early that morning, I saw Michael, a firefighter from Germany who was walking in full turn-out gear. We were each giving each other space to do our thing. I had written a note to my former husband that I wanted to burn as a symbol of forgiving him. I was crouched on the ground and when I stood up, holding the paper in one hand and book of matches in the other, I saw Michael. I gave him a funny look and he asked what was going on. I told him I wanted to burn something. I love that moment because it brought levity to such a serious moment. And that’s the beauty of life – the sorrow and the joy mixed together in one moment. Documentary Drive: What message do you hope the film conveys to viewers and what advice would you share with someone watching “A Way to Forgiveness” who may be going through a similar experience? Dooley: I purposely didn’t get into specifics of my divorce because I want viewers to see themselves in the story. Even if they’ve never gone through a divorce, everyone has something to forgive and/or something for which they need to be forgiven. I want to encourage people to dive into forgiveness. It is a powerful and beautiful experience. I tour with the film and give talks on how to forgive. Part of what I say is that healing and forgiving take time. Give yourself a break as you go through whatever you are going through. There is no race. Do the best you can do each day and you’ll eventually get there. And do not be as foolish as I was and give yourself a “forgiveness deadline”! To learn more about “A Way to Forgiveness,” upcoming events, and to connect with Erin R. Dooley, visit: D.A.S.H. Entertainment and “A Way to Forgiveness” online or socially on Facebook, Twitter, and Instagram. Next: Next post: Melbourne Documentary Film Festival 2018 – Docs Down Under!